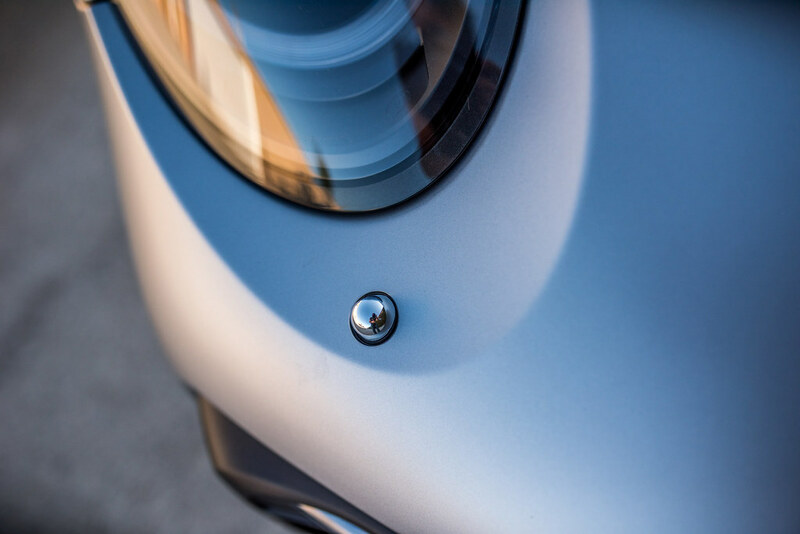 It’s fair to say if you’re dropping the coin required for a highly optioned 2017 Porsche 911 Turbo S that you’re going to want to protect it too. 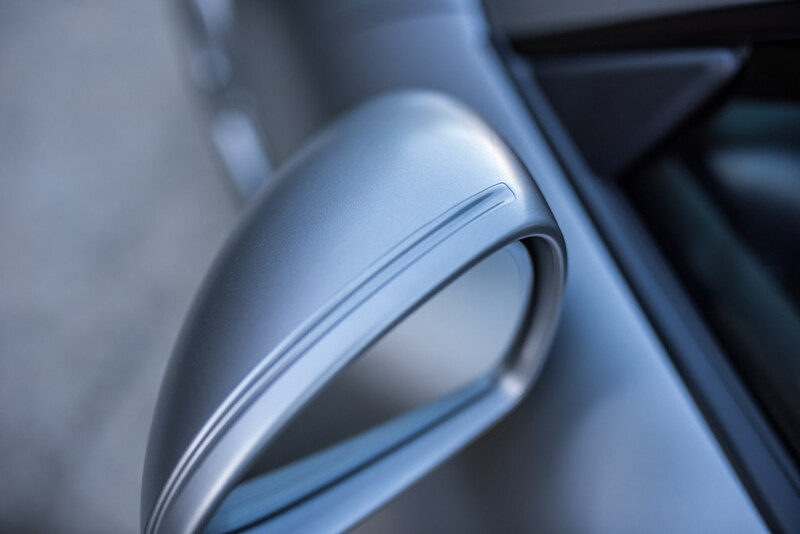 For modern cars, there is nothing that will provide more protection for your paint than wrapping the whole car with paint protection film (only to be trumped by Modesta over a full body paint protection film wrap). And for someone wanting to give their paint a tasteful aftermarket look, there are satin paint protection films which take the color of the car and add a satin sheen to the finish. It is neither matte nor glossy. 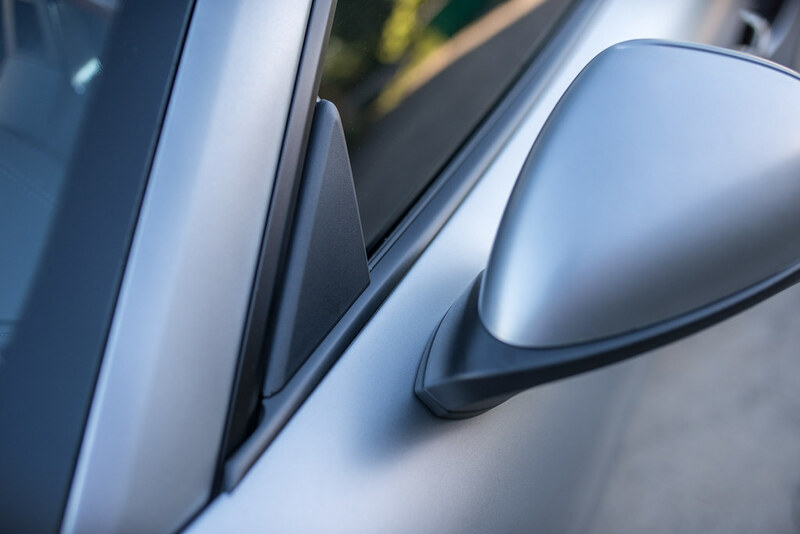 Satin PPF gives the paint a modern and classy look that is also sure to get the attention of those you zip by on the freeway. For this one, the glossy black pieces were wrapped in glossy PPF to give a subtle contrast. 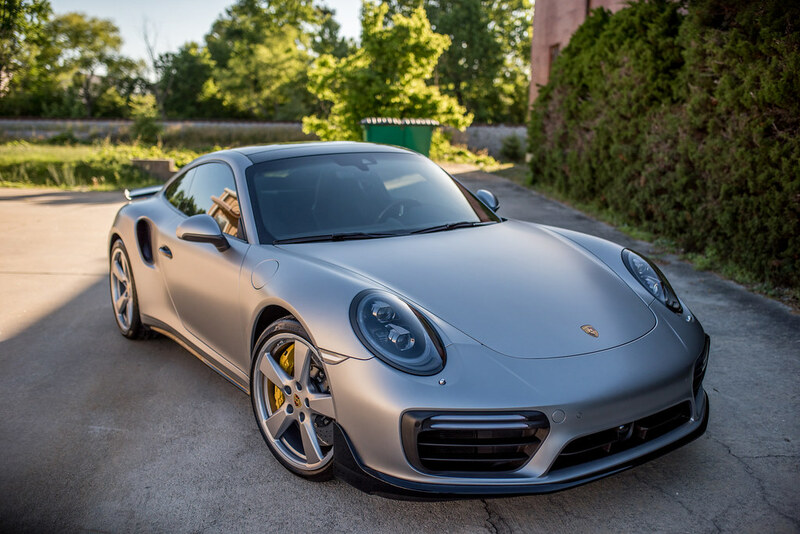 For this 911 Turbo S, we installed a full body satin paint protection film wrap and tinted the glass with Prestige Film Technology’s Ceraluxe full ceramic window tint. With Ceraluxe ceramic tint, an owner is sure to have incredible protection without worries of the film changing color as it has no dyes. 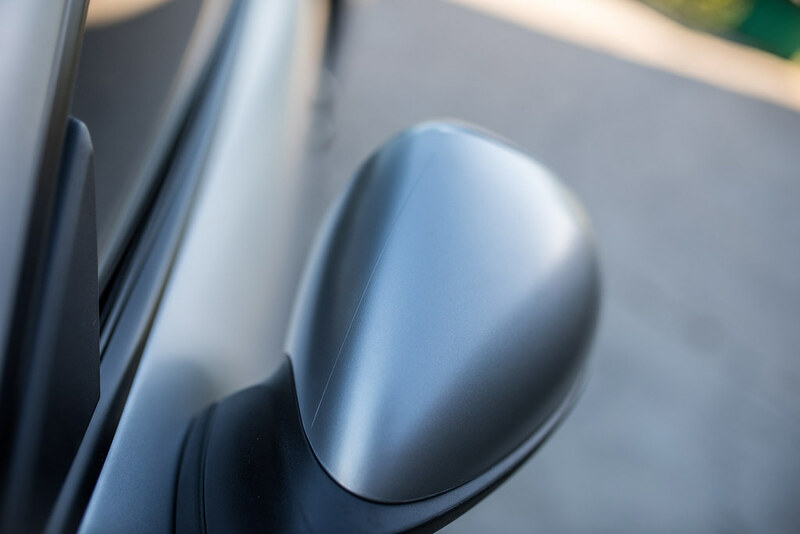 With PPF the paint is protected…with full ceramic window tint, the passengers are protected from elevated radiant heat and harmful UV rays. On the 991.2 911’s, the ability to wrap behind headlights requires removal of the front bumper to get access to the mounting hardware. We removed the bumper, hood shield/emblem, headlights, side markers, tail lights, disassembled the doors to remove the side mirrors and also removed the side vents to give maximum coverage and protection. This type of wrap gives someone a truly world class end result! So here she is! A video showing it all off and the images for a better eye on the fit and finish that our clients have come to expect! Thanks for looking everyone! Here she is when we were picking the Turbo S up in our custom Intech car hauler. This trailer is AWESOME. Escape hatch that opens up on the side and the fender is removable! This allows us to pull a car inside, open a door and step right now. No more crawling out windows or banged up door edges for our clients! The fit and finish along with the last picture showing off another 991.2 Turbo S that got a glossy wrap next to his brother from another mother wrapped up in satin PPF! 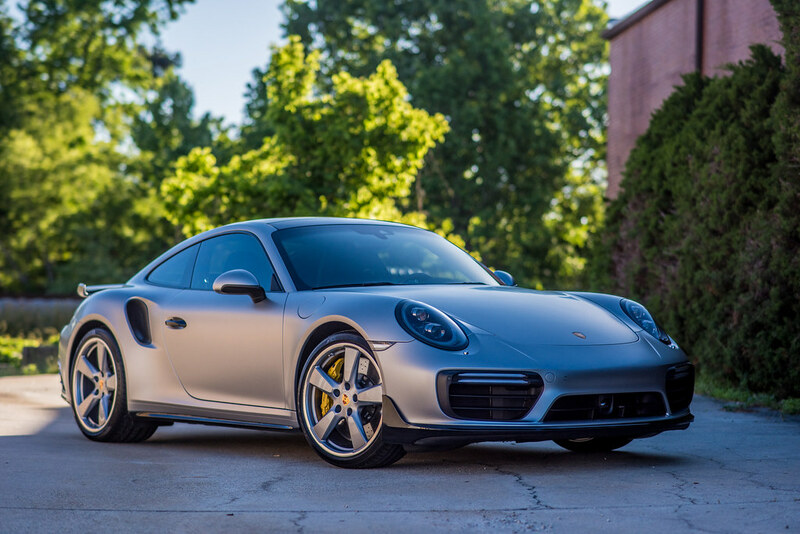 1 comment on Satin Paint Protection Film (PPF): Installed on a 2017 Porsche 911 Turbo S! Beautiful Jean-Claude! Had a chance to see a white Audi wrapped…Amazing! I wonder if my Tundra would look that good…LOL!